attractions and steps from the beach. Beach Concerts & Festivals on the Broadwalk. Gulfstream Park and Hardrock Casino nearby. Completely Stand Alone Cottage--no adjacent neighbors! 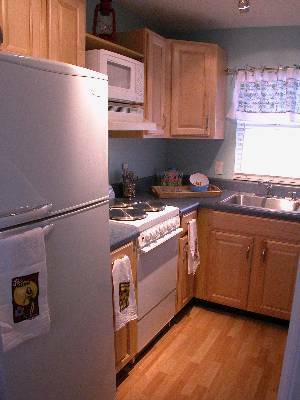 Newly renovated kitchen with new cabinets, countertop and refrigerator. Stocked with all you need to prepare the perfect meal. Unwind at the end of the day amongst the calming seagreen walls, enjoying Cable TV in this comfy Queen Bed. Enjoy many Free festivals and concerts on the Broadwalk..just steps from our cottage. 6 grills, plenty of tables and shade make this the ideal BBQ space. Lifeguards keeping you not only safe but informed of beach conditions. Cable TV, DVD player, and relaxing beach decor perfect this living space. 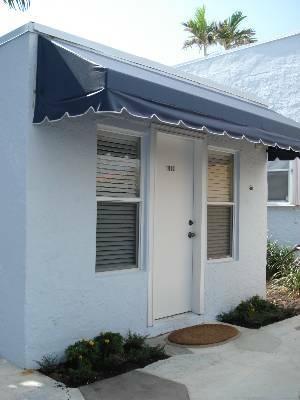 I have been renting My Beach Cottage for 3 years and have been extremely pleased with the owners honesty and dependability. It is a very well maintained and stocked unit and Maray is available whenever you need her. 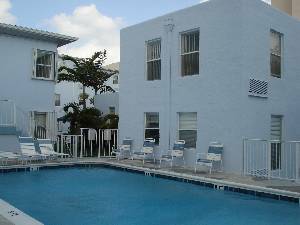 I cannot say enough about the owners, not to mention the privacy of the unit and the proximity to the beach and broadwalk. Highly recommended by me. I spent a great six week period at Maray's Beach Cottage in Hollywood. Having lived in Hollywood before, I knew all about the terrific beach there and the Broadwalk, but had never visited the Windwood Seas, where the cottage is. After my stay there, I can tell you you will be very pleased with the cleanliness of the cottage. Clean, clean, clean. Very comfortable, and easy to get in and out of from the complex. You really do have your own 4 walls, so everything is very quiet. You'll love all the restaurants right in your backyard, and a couple of times I did take advantage of the grill. Pool area isn't large, but big enough-- and was never crowded. Very nice folks all over the WindWood Seas. If you're heading there, I know you'll like it. Maray was very easy to do business with, very accommodating, and worked with us on our dates. Deposit was returned immediately! Maray's Beach Cottage is such a perfect getaway! 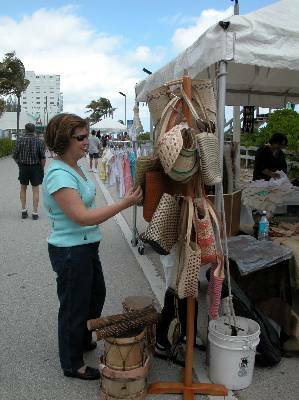 It is just steps from the beach and tons of great restaurants and shops. 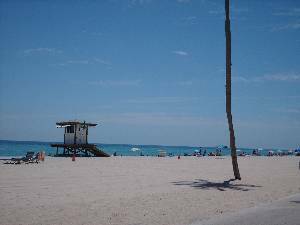 I can ride the trolley into town for more shopping and dining or to the various tourist attractions offered in Hollywood Beach, Florida. This is without a doubt one of my favorite vacation destinations, and one of the only places I've chosen to return to repeatedly - just because I LOVE LOVE LOVE my little oasis which is Maray's Beach Cottage! We stayed here on february 2010. It was clean. Équipment was complete and functional. I keep this address in my file. We had an awesome time in Hollywood, FL at the cottage! It was a wonderful cottage and we couldn't believe it was only steps away from the beach. There was a beautiful boardwalk and the water was crystal clear. The cottage was very cute,clean and updated. The price was outstanding for as close as we were to the beach and Miami! We were only 20 minutes from Miami and even went to Key Largo one day! The people in the other condos were very nice, welcoming and helpful! The pool was great for our children. Maray was very helpful and easy to make arrangements with. I would highly recommend this place!!! It was quiet and had everything we were looking for a boardwalk, parking, beach, pool, warm weather, grilling and a perfect vacation!! Thank you!! We stayed in Maray's cottage for one week and it wasn't long enough. The cottage was very clean and nicely decorated. The complex was quiet and well maintained and while we were there hardly anyone else was around so we had the pool and barbecue area to ourselves. The beach and broadwalk are very nice and safe even in the evening. The restaurants along the beach are very good and affordable - almost no need to go out and eat elsewhere. And Maray is excellent to deal with. We were very fortunate to find this cottage. Would definitely recommend to anyone. More than positive feedback for that wonderful place.Just like if it was my Condo.Close to everything,CLEAN,Quiet,SAFE for a family with children ( confirmed by a cop on the beach)All you may need and more.I m French so if you need more info or have question i ll be pleased to help you with this refered place.WHY paying a few hundred for a poor hotle when you can be in your own place !!! December 5, 2006 Reviewer: robert harris From: boston mass. 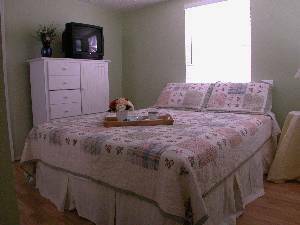 The location was perfect, very clean, and close to everything (very quiet at night)-just the way we wanted! Maray was very pleasant, patient, and quick answering all the questions we had before making our final decision. And it was very well worth it! The cottage was great! The owners are very friendly and accommodating. The location is awesome, only steps to the beach and very close to anything and everything. The value of the cottage for the price is unbelievable. We really enjoyed our stay, and will definitely be visiting again. This was a wonderful, relaxing place to stay. Everything is well taken care of and close to the beach. We so enjoyed walking the Broadwalk and eating at places along the beach. It is a great value and I recommend it highly. The cottage was just perfect, it was very well decorated and as clean as could be. You can easily tell that it is very well taken care of. Maray & Pablo (owners) were so easy to work with. We loved it so much we extended our stay. We can't wait to come back next year. this beach cottage is very comfortable and quite reasonably priced. we stayed in the large hollywood beach tower across the street for the previous week and the beach cottage was a welcome upgrade from that place. we loved the sushi thai place less than a block away and on sundays there is an awesome organic veggie market closeby. every night of the week there is an organic juicebar right there. We didn't want the hassle and expense of renting a car and trying to find our way around so we also utilized the broward county public transit which was inexpensive and well managed. We will come back to hollywood beach again and bring friends! We enjoyed a lovely week of the beach's water, sand, & sun, strolling and eating along the nearby boradwalk, and easily escaping to the beach cottage when we needed to rest. Great place! "clean, quiet, relaxing". Guest Comment Card. 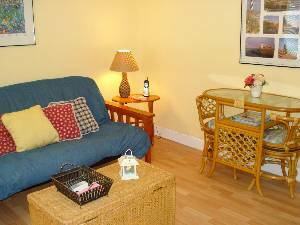 "Thank you for providing all the little extra nicesities in your lovely cottage by the sea. We were very comfortable and hope to return for a longer stay next year." Thank you card left by Guest. Our stay at the cottage was wonderful! It felt like home! Maray and Pablo are very nice people and seem to have their new business very organized! I have recommonded this cottage to all of my family and friends. We will definitely be coming back to stay in future! November 22, 2004 Reviewer: lou From: upper darby,pa. 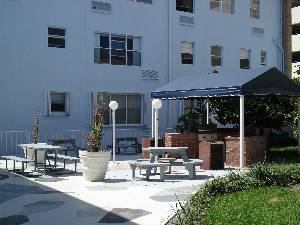 great location to beach and center of hollywood.very relaxing and comfortable.I made the right choice. Please add $60 cleaning fee on all rentals. Discounts available on rentals of 3 months or more. Cancellations and Refunds: Booking deposit returned if cancellation is made within 60 days of arrival.